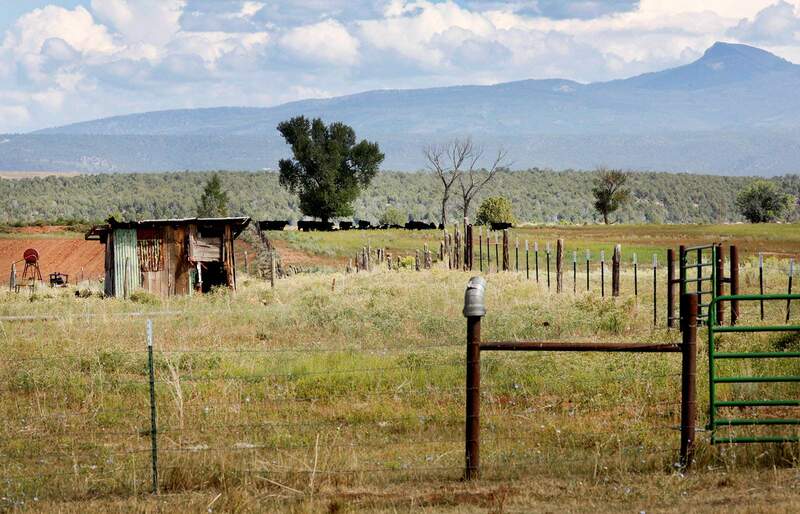 La Plata County officials have starting talking about zoning in the county and could have impacts on properties such as the Greer family ranch near Red Mesa. The saga of whether zoning will be adopted in La Plata County may have entered the beginning of its end stage Wednesday. Commissioners kicked off a series of four work sessions that is expected to end with commissioners providing guidance to staff members on whether to pursue formal adoption of a zoning ordinance. Commissioners are also expected to provide broad outlines of what a zoning proposal should look like if they go that route. Commissioners would then debate the staff’s proposal and eventually vote to adopt or reject zoning in the county. Zoning has proved contentious, with many residents worried adoption of a zoning code would limit their options to develop their land. Wednesday’s work session was largely devoted to a nuts-and-bolts analysis of details of Euclidean zoning, which separates land uses by zoned districts such as residential, commercial and industrial, and performance-based zoning, which sets certain standards for land use but relies more on hearings before commissioners and the La Plata County Planning Commission to determine on a case-by-case basis if a project will be approved. Euclidean zoning would provide developers with more certainty about allowed uses in various zones, but it would still allow commissioners or the Planning Commission to hear appeals for variances or conditional uses, said Planning Director Jason Meininger. Setting zones also would guide growth to where infrastructure is in place, cutting costs for the county and the developer compared with performance-based zoning that creates more diverse development that can be proposed far from existing infrastructure such as water and sewers. More zoning lessons are planned for the next work session Sept. 12. Later this year, public comment is slated for the third work session, and commissioners are scheduled to respond to public comment in a fourth work session. Also at the fourth work session, commissioners are expected to give guidance to staff on whether to draft a zoning ordinance for debate. Commissioner Julie Westendorff asked staff to provide information about adopting zoning for certain parts of the county but not in other areas, where there is less economic pressure for development. Commissioner Brad Blake asked staff to provide information on the biggest problems seen around the country with Euclidean zoning and an analysis of what zoning would mean to property owners’ taxes.